Today we start our Amazon week, following the announced of the company last week on the launch of its new tablet, Kindle Fire, and the new Amazon Kindle products (Kindle for only $79, Kindle Touch and Kindle Touch 3G). 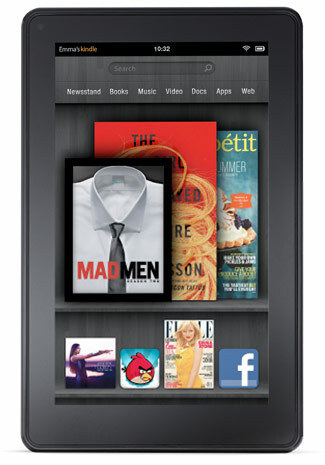 The question we'll discuss today is are these new Kindles How making e-reading any greener? 1. Cheaper price, greater availability - "These are premium products at non-premium prices. We are going to sell millions of these." - Jeff Bezos. He's right and the new prices for both an e-reader ($79) and a tablet ($199) makes them more available for many people who couldn't afford these products so far. It is an important issue as one of the claims against e-reading was that it was one of these innovations that is only available to the rich and leaves the poor out. Well, not anymore, or at least Amazon's new prices are a big step to make this claim irrelevant. 2. Evolution of e-reading devices - It's important to mention that Amazon did not disclose the Kindle Fire's carbon footprint and given their past resistance there is a little chance they will do it later on. It means there are questions about manufacturing, the use of chemicals and other parts and so on that unlike with Apple for example are left unanswered. Nevertheless, the contribution of the new Kindle products, both the Fire tablet and the new Kindle touchscreen e-readers are the fact that they're moving the whole market one or two steps forward. As we always said, even if right now e-readers are not as eco-friendly as we would like them to be, they will surely be so within couple of generations, and the competition between e-reader sellers is right now the most effective driver we have to ensure we're moving in that direction, seeing both e-readers and tablets that are better and in many ways more eco-friendly (the reduction in the iPad 2's carbon footprint comparing to the first iPad is a good example of this process). So the bottom line is that the new Kindle Fire and the Kindle e-readers are contributing to greater competition in this market and therefore advancing the evolution and greening of e-reading. Tomorrow, we'll compare Kindle Fire with iPad 2 and Nook Color and see which device is greener. RAN has made it - Disney is working with RAN on a new comprehensive paper policy! We reported here earlier this year about RAN's campaign to ensure children's books are not printed on paper linked to Indonesian rainforest destruction, which eventually was focusing on Disney Publishing. Until now RAN said Disney has offered only empty words that do nothing to ensure the company is not still purchasing paper driving rainforest destruction. Yet, it seems like things have changed and for the better! Last week RAN sent an update over the email saying: "Disney executives flew to San Francisco the next week to meet with RAN’s forest team. We’ve been deep in negotiations with them ever since. " This is great news! 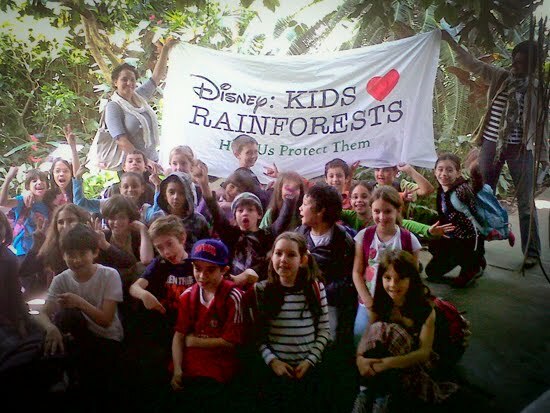 RAN, according to their email, is working with Disney on a comprehensive paper policy that will ensure Disney stops sourcing paper from the world’s endangered forests and instead increases use of responsible alternatives like recycled paper. Negotiations are still underway and the campaign will remain active until a strong final policy is announced. 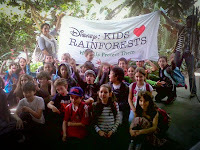 RAN reports it is (cautiously) optimistic that "Disney will do the right thing and establish a precedent-setting policy that ends its ties to forest destroyers APP and APRIL while providing a positive model for other corporations to follow. This would be a major win for the world’s forests, forest communities and Disney." Kudos to RAN on their achievement and we definitely hope these negotiations will succeed! We'll keep you posted once we'll have more updates. In the meantime, check RAN's website to learn more about their campaign.